Sometimes dream jobs do come true! 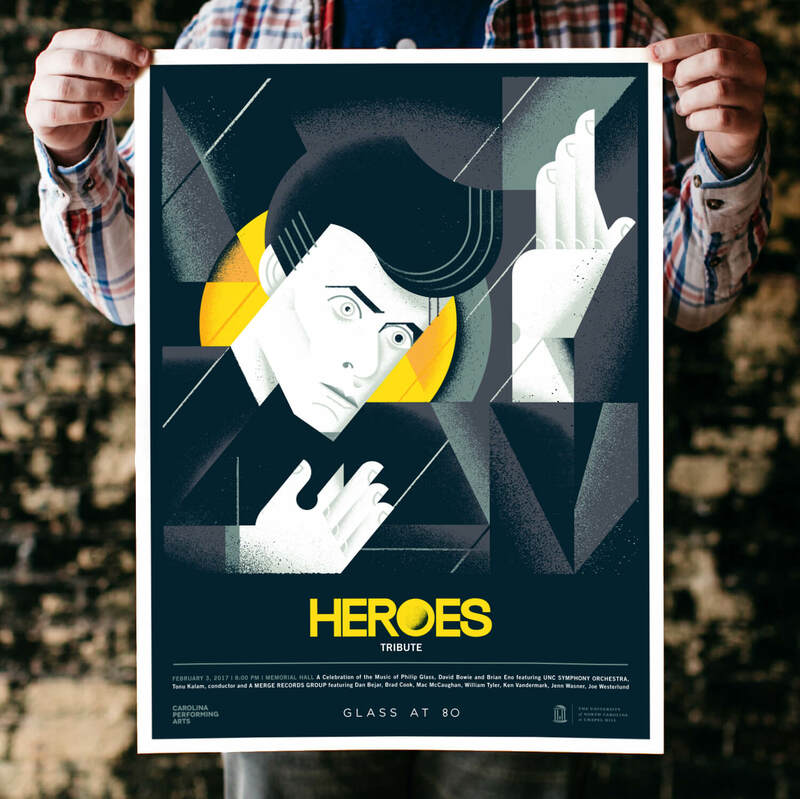 It seems unreal that this actually happened, but I was recently asked to put together a whole suite of posters and merchandise for the Carolina Performing Arts Philip Glass at 80 festival. 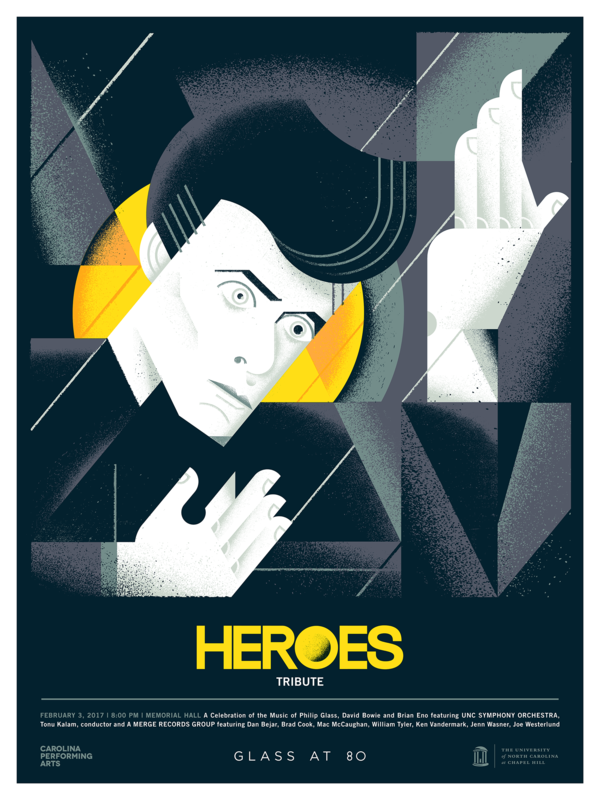 One of the specific pieces I created was a poster for a performance of David Bowie’s “Heroes,” which is a tribute to the work of some of my personal heroes, such as Brian Eno and obviously Mr. Bowie himself. I decided that a minimalist, textural interpretation of the original album photograph would be the perfect approach for the poster.